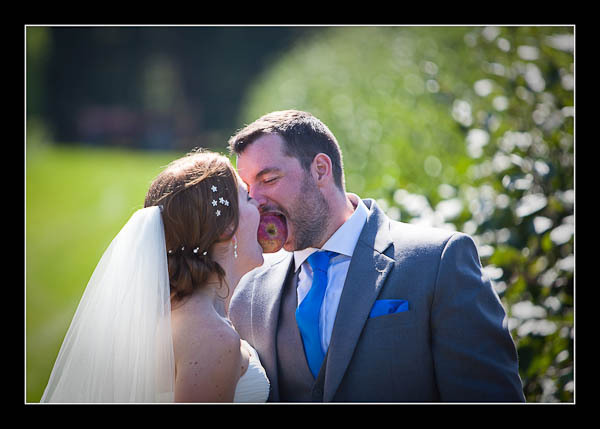 I had the pleasure of photographing Michelle and Daniel's wedding on Saturday at Brogdale (Home of the National Fruit Collection - hence, the quirky image above) in Faversham. I think it must have been one of the hottest days of the year, with blazing sunshine all afternoon and not a cloud in the sky, except just as I was leaving (naturally!) Since I was shooting in a meadow with no shade it was a case of keeping the sun behind my subjects as much as possible. It was so sunny that I don't think my ISO setting went above 50 for most of the afternoon! Please check out the gallery for Michelle and Daniel's wedding at Brogdale or view this alternative non-Flash based gallery.